Click on the links below for answers to common questions about our free hit counter service and for help with your free web counter. What is the difference between All Hits and Unique Visits? Can I block my own hits from being counted? Will I get SPAM after signing up? Can I keep my hit count private? Can I change the style of my counter? Can I change the number of digits? How do I delete my counter? Can I have multiple counters for different sites or pages? Why does it keep asking me to login again? What if I can't see my counter? What if my counter looks fuzzy or pixelated? What if my counter isn't working? What if my counter stopped working? Where do I get the counter code? Is the counter valid XHTML? Counter Installation Help for Microsoft FrontPage. Counter Installation Help for Namo WebEditor. Counter Installation Help for Yahoo Geocities. Counter Installation Help for Yahoo SiteBuilder. Counter Installation Help for Sitebuilder / Trellix. Counter Installation Help for Netscape/Mozilla Composer and Nvu. Counter Installation Help for Blogger / BlogSpot. Counter Installation Help for Google Pages. Counter Installation Help for MySpace. Counter Installation Help for Xanga. Counter Installation Help for MSN Groups. Counter Installation Help for Yahoo Groups. Counter Installation Help for Yahoo 360. Counter Installation Help for AOL Hometown. Counter Installation Help for AOL Journals. Counter Installation Help for Fark. Counter Installation Help for Freewebs.com. Counter Installation Help for Other Programs. Counter Installation Help for Notepad. 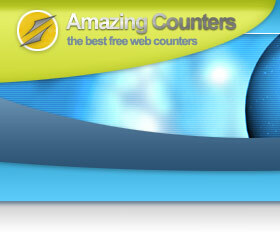 Yes, Amazing Counters is a free service. We believe it is the best free hit counter available, offering more features and styles than anyone else and even including historical web site statistics for free. We used to require a sponsor link advertisement to be included with the counter, but we've now removed that. So you get a totally free counter with no advertising and no text links. When you sign up (or edit your settings), you have the choice to have your counter increment on "All Hits" or "Unique Visits Only". All hits counts every single hit the counter gets. So if a user comes back in 5 minutes, or keeps reloading your page, it will keep counting each hit. When you set it to Unique Visits Only, it will not count sequential hits from the same IP address. (An IP address is a unique identifier of a computer on the Internet.) So, if it is set on Unique Visits Only, the counter will only increment once if someone keeps reloading your page or visits multiple pages of your site that have the same counter installed. With typical traffic, the counter set to Unique Visits Only provides a good approximation of the number of visits the site receives. Use the All Hits setting if you want a total count of every hit the page receives. Yes. We allow you to block your own hits, so that you can accurately determine how much external traffic your site receives. To exclude your own hits from being counted, follow the instructions on Blocking Your Own Hits. Other free hit counters stay in business by selling your email address or data gathered from user web sites, but we do not do this. Simply displaying your sponsor link is what keeps us in business. One of our hit counter styles is invisible, so pages where you implement the hit counter will not show a hit count. However, the web counter will still be tracking hits, and you can view your site statistics logging in to you Amazing Counters Account. To use this select the hit counter named "Invisible - Private Stats Only". This is a unique feature that isn't generally available from other free hit counters. We are proud to offer useful features such as real-time statistics and invisible counters, since all these features, options and choices is what makes Amazing Counters the best free web counter service! To change the email address for your account, you first need to login to your Amazing Counters Account using the existing email address and password for your account. Once you are logged in, click the "Change Email/Password" link to change your email address or other login information. To change the password for your account, you first need to login to your Amazing Counters Account using the existing email address and password for your account. Once you are logged in, click the "Change Email/Password" link to change your password or other login information. If you lost your password, you can request that we email your password to you. To do so, you need to use our Password Request Form. 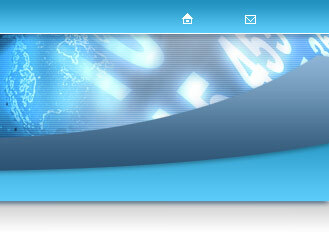 We offer over 750 web counter styles in 24 different categories. To browse our free hit counter styles, Click Here. Yes—And you don't even need to change the code on your site. Simply Login to Your Account and click on the "Edit Settings" link. Then click on the "Change Styles" link and select a different style. As soon as you select a new web counter style, it is changed. You do not even need to make any changes to your site. The number of digits automatically adjusts according to your current hit count to keep it from having a long string of leading zeros when your number of hits is low. More digits keep getting added as needed to show your full count, up to a maximum of 9 digits. You cannot directly set how many digits you have, it just adjusts automatically with your current count. You can adjust your current count at any time. To do this, just Login to Your Account and click on the "Edit Settings" link. To reset your counter, first Login to Your Account and then click on the "Reset Counter" link. Specify the desired Starting Hit Count value, and click the Reset Counter Now button. Your current count value will be set to the starting hit count value you specified and all data and statistics associated with the counter will be reset. The daily and weekly histories will be erased and the counter creation date (used for statistics calculations) will be reset to the current time. If you just want to change the current count value, without deleting the historical data, click on the "Edit Settings" link after you login to your account. Simply change the Current Hit Count to the desired value and submit your changes. To delete your counter, you can simply remove the hit counter code from your web site. If you want to delete your Amazing Counters account, first Login to Your Account and then click on the "Delete Account" link. After confirming your intentions, your account and all data and statistics associated with it will be permanently deleted. To create a web counter, just follow our simple Sign Up Process. You just need to select a counter style, enter basic site info, and then copy and paste the code to your site. If you want to create multiple counters to separately track different pages or sites, simply sign up as many times as necessary. When signing up multiple times you can use the same email address and password, which makes it very easy to login once and access the the settings and statistics of all your hit counters. Yes. One option is to copy the counter code from your first counter to the other pages, but then they will all show the same count. This also means that a hit to any of the pages will increment the counters and they will all be showing a total. Most people want a separate counter for each page or site, so they have separate tracking for each page. Just choose the style and other settings you want for the new page. (Of course, you can use the same style if that is what you want.) When you specify the web site name and URL, give the location of the specific page you are putting the counter on. This will make it easier to keep the counters straight later on. It is much easier if you use the same email address and password for all of the counters you create. This way, you can just login once and have easy access to the stats and settings for all of your counters. The code for each of your counters will be different. You will need to copy the unique code to the appropriate page(s) of your site(s). 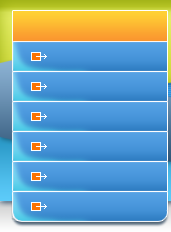 To enable cookies on Internet Explorer, choose "Internet Options..." from the "Tools" pull down menu. On the "Privacy" tab, change the setting to Medium, Low or Accept All Cookies, or allow cookies for just this site using the "Edit" button at the bottom. After you enable cookies, you may need to restart your computer for it to start working. If the counter on your site doesn't look as good as the example of that style on our web site, it is probably because you are specifying an incorrect size for the counter in your code. If you display it smaller or larger than the native size, it may not end up looking very good. To fix this, just remove the width and height attributes from the counter image in your source code, so that it is displayed at its natural size. The counter code we provide never has the width or height specified, but some web design programs automatically add these into the code. When this happens, the program usually puts the correct sizes in and things will look fine at first. The problem arises later when your count increases enough to cause another digit to be added. This extra digit increases the width of the counter image, and it will appear to be squeezed in unless the width parameter in the code is adjusted accordingly or simply removed altogether. If your counter isn't showing up, is not incrementing or is otherwise not working, the code on your site is probably incorrect. Many web site editors can modify the code, corrupting it. If your counter is not working, you can fix it by copying the correct code to your page. To get your code, Login to Your Account and then click on the "Get HTML Code" link. To check if the code on your page is correct, compare it to the code we provide. You can view the code on your page by going to your page in your web browser, right clicking the mouse and choosing "View Source", and then going through the source code of your page until you get to the counter code. If your web counter worked before, and now it doesn't, it is very likely that your counter code was corrupted. This was likely caused by your web design software, and the tips in the above FAQ, What if my counter isn't working?, can help with fixing the problem by reinstalling the counter code.